Staying at the forefront of the rental vacation industry, Casiola recently was selected for the Airbnb Plus program. Casiola is one of the first property management companies in Orlando to receive the distinction. Airbnb Plus properties are handpicked and curated by Airbnb, so guests know they’re getting the best of the best. Not just any property receives the “Plus” badge as part of their Airbnb listing — an Airbnb partner visits every home to assure it’s up to plus standards. Airbnb Plus homes are a collection of only the highest quality homes. An Airbnb Plus home consistently gets great reviews and has high guest ratings, something all our properties have. 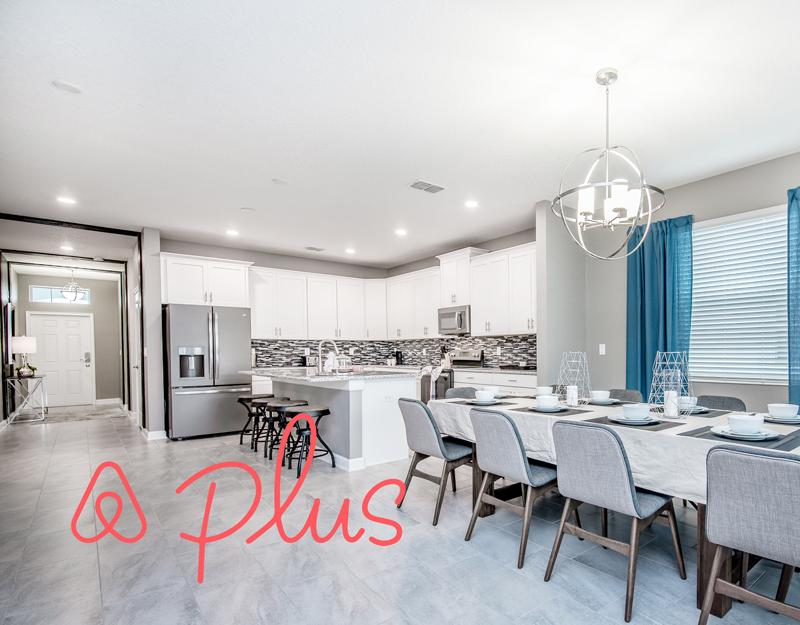 Each Plus home undergoes a 100+ point inspection, covering everything from design to mechanicals to the booking and check-in process. All of our homes meet these standards and are well-equipped with amenities that make you feel at home. Guests are treated to features like fast WiFi, fully-equipped kitchens with cooking essentials and flat-screen TVs. It’s these little things that make our guests happy and what they look for in properties with the Airbnb Plus badge. Airbnb Plus homes are also clutter-free, well-maintained and always meticulously clean. Airbnb Plus homes are not only functional, but they’re also beautiful, with well-decorated spaces and high-end design. The decor tells a story but also creates a cohesive feel for the whole house. Our vacation rentals have all the highlights the Plus program looks for: luxurious linens, posh bath products, little extras like privacy shades and hangers in the closet, and so much more. We’re proud to be part of the Airbnb Plus program — it’s just another way we help our owners get the most out of their rentals. We love our owners and we love helping them make guests happy!